Several weeks ago I answered this question. It was about calculating ratio of sides of rectangle in Scala. I received 5 upvotes and on my tag list I had scala tag with score 5. I Quickly realized that I can easily gain 5 points in different tags. All I had to do was to edit question and add more tags to it. So I added ratio and rectangle tags. And several hours later I had those two tags on my list with score 5. I was so happy. I thought that maybe it is first little step to becoming expert in ratio. I could even become the best ratio expert in my city. This tag doesn't have followers. I cannot imagine a reason to follow this tag. I don't see a reason to search questions using this tag. If there is a question tagged only ratio then I really don't know what it question is about. There is resize, which is more specific and can embrace many ratio questions. So I vote for 'burninate'. I thought we got rid of rectangle, already: Unify [triangle] [rectangle] [shape] [circle] and the like under [geometry]. Anyhow, I'll say the same thing about rectangle that I said there. It should be replaced with geometry (when it's actually geometry relate, of course). Additionally, there might also be cases where retagging ratio to something like math is appropriate. Use math for programming questions related to mathematics. Use fractions for fractional numbers. Use aspect-ratio for questions related to the ratio between width and height. We don't want to destroy value, so salvaging a post should be your first priority. If a question can be saved, please edit it. Your edit should improve all problems with the question and remove the ratio tag, possibly replacing it with another tag, as described above in "Observations/Retag Guidance". If the question is not appropriate for this site, then don't worry about removing the ratio tag—just flag/vote to close the question. 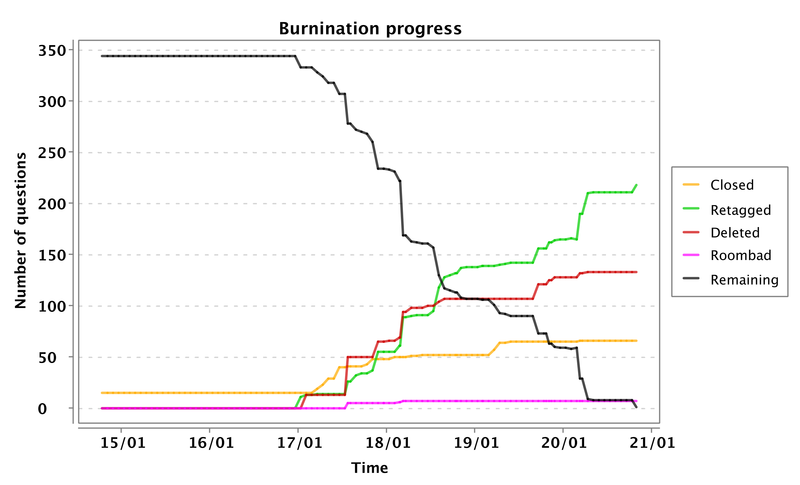 At the end of the burnination process, all questions which still have the ratio tag should have been closed. These will be mass-deleted, which will remove the tag from the system automatically, with minimal disruption. 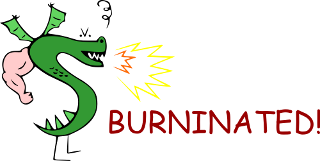 Should the '4clojure' tag be burninated? Can we remove this tag from our [portfolio]? Tags needed for [dict-comprehension], [set-comprehension]? Scala [for-comprehension] tag?